India is known for its beautiful hand-printed fabrics. The fabrics are used for numerous products, from table cloths to sari's. Each color of a fabric design is printed using a separate hand-carved wood block and inks made from natural materials. 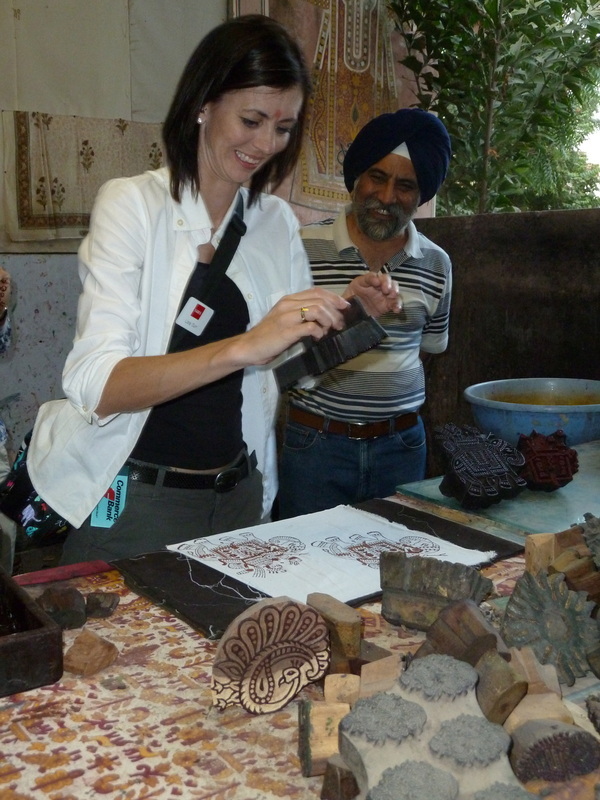 Under the watchful eye of a local artisan, I was able to utilize the traditional tools and inks of the Indian people to print one part of a 3-layer elephant design. Majestic painted elephants provided an amazingly scenic ride to the Amber Fort in Jaipur. Riding on this beautiful creature provided us with the chance to reflect and take in our beautiful surroundings. Many of our excursions allowed us to visit local schools to meet with students and faculty. We visited a Jain school that would be comparable to a private/prep school in the states. 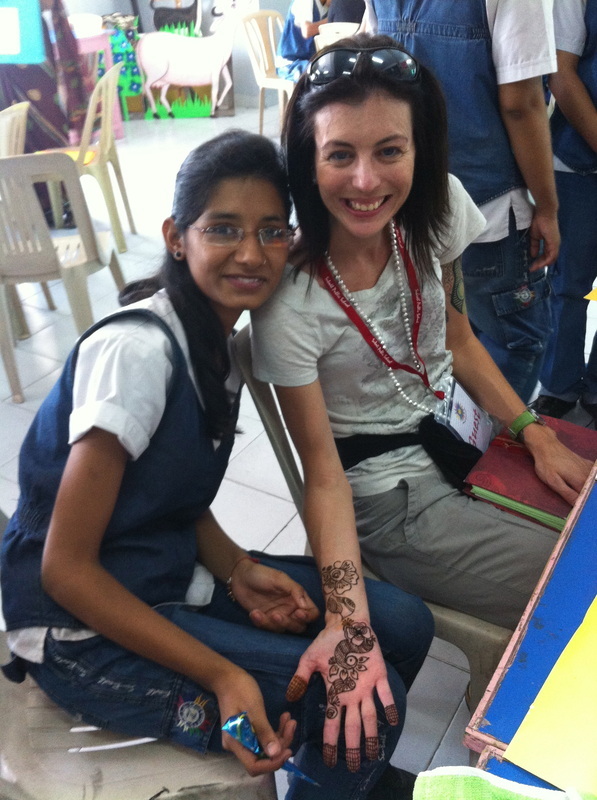 The students introduced us to the ancient practice of henna decorations and provided each member of our delegation with an design that stayed with us during the remainder of our travels through India. 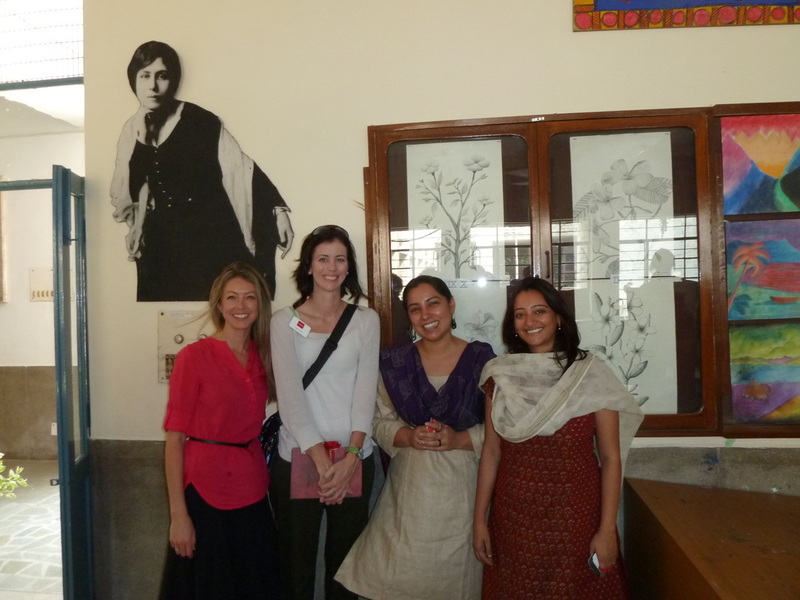 Meeting art educators from different schools in India was an experience I will never forget. Despite our geographic and cultural differences, our approaches and our struggles did not vary drastically.